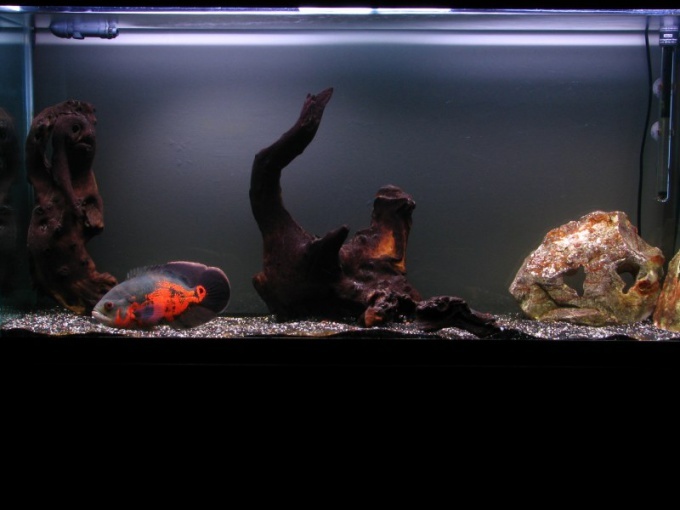 Many people set up home aquariums. It is scientifically proven that the process of viewing fish swimming in the aquarium, visibly calms and relaxes after a hard working day. Yes and fishes are the least allergenic type of Pets. Any aquarium requires installation of the compressor, which is responsible for saturation of water with oxygen. And then there is a problem - the compressor is too much noise in complete silence. - sponge for washing dishes. When buying components for your aquarium pay attention to the compressor. Before going to the store, read the special literature on how the rule is to choose the necessary details for the aquarium. Arriving at the store, listen carefully to everything you tell the seller-consultant. Currently on the market there are many silent compressors that operate almost silently. It is not difficult to guess that these compressors will cost a bit more than usual. However, even silent models can emit a small noise, which causes some discomfort. If you have a compressor with a simple type of device, then try to take it apart. For this study a user manual. In it you will find the location of all connections and fastenings. Remove the screws and open the case. Carefully read, as are the internal parts relative to each other. The most common cause the characteristic cracking sound is the friction of the membrane on any exposed part. Find her. You must either carefully sawed, or cut a place which disturbs the membrane to move silently. Do all the procedures very carefully, using the special tool, to avoid damage to other parts. To reduce the sound of the compressor you can try to install it on a special stand. It should be made of a material that absorbs vibrations, because the noise caused by the frequent oscillations of the membrane within the compressor. Try put a regular sponge for washing dishes. Than thicker it is, the quieter the sound will be. You can also put the compressor in a small soundproof box. If there is none, use the foam or foam rubber. They wrap the compressor housing and secure the material with rubber bands. It is worth noting that many compressors after some time of operation are beginning to crack. This can be caused by either a blockage or loosening some internal parts. Disassemble the compressor, locate the parts that are loose and secure them. Some aquarists have to address the question: how to provide fish with the necessary amount of oxygen? Especially in the warm season, when the rate of metabolic processes in the organisms inhabiting the aquarium, sharply increases and the concentration of dissolved oxygen in the water, on the contrary, drops sharply. Since fish do not have the ability to regulate their body temperature in warmer water accelerates their metabolism. How to saturate water with oxygen? First of all, make sure that in the aquarium in sufficient quantity was present to water the plants. A lot of them: various echinodorus, cryptocorynes, Elodea, rogolistnik, aponogeton, etc. of the Oxygen that they, as a rule, is enough to meet the needs of fish, even in the warm season, of course, provided that the inhabitants in the aquarium are relatively few. Note, however, that if plants will grow too densely, then there may be unpleasant side effects, they should from time to time to thin out. If the plants in the aquarium for one reason or another, there are no (or very few), then it is necessary to resort to aeration, i.e. forced injection of air in water. You will need: compressor, rubber hoses and the tip of the spray gun. 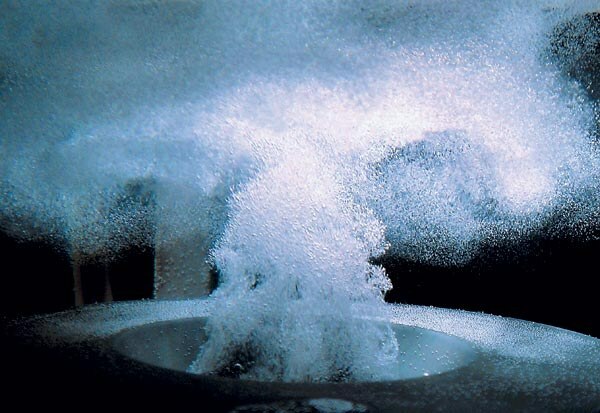 His task is to create output as many bubbles as possible, to increase the area of contact of the air with water ( so that more oxygen is passed into the water). Therefore, the tip is made of a material that contains many small pores. Should provide the ability to adjust the amount of supplied air (e.g., during the cold period the fish requires much less oxygen for the reasons mentioned earlier). So either buy a compressor the capacity of which you can change or get the metal clamps (preferably the screw), with which you can "pinch" the hose, changing its cross section. If you want to saturate with oxygen the aquarium with sea water, then one of the porous tip is not enough (especially when a large volume of the aquarium). In such cases, as a rule, use a narrow long tube-"column" with lots of small holes.